Manual Ignition Fire Pits require a match or striker to ignite the pilot light; the pilot light then ignites the burner flame. Tropitone® Fire Pits are beautiful, functional, and coordinate with Tropitone® seating and table options. The Burner System produces a wide range of heat output peaking at 90,000 BTUs. This range of output provides the user with versatility for variations in outdoor temperature and activities. 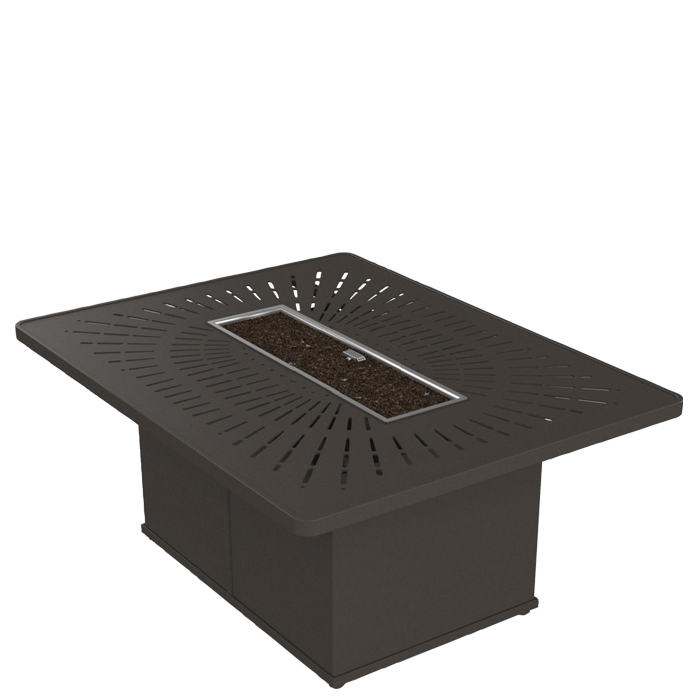 This fire pit is made of aluminum and features the exclusive La'Stratta design.